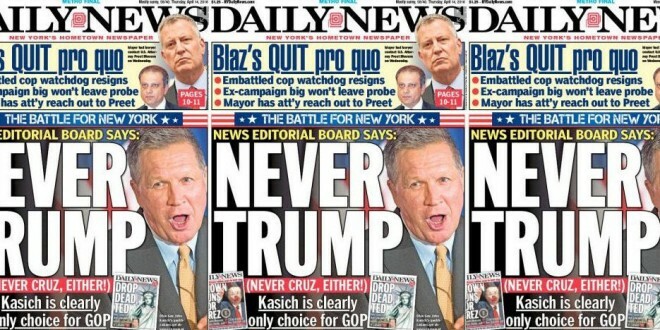 New York Daily News Endorses Kasich - Joe.My.God. New York’s 2.7 million registered Republican voters can break the fever that torments their party by voting for principled, pragmatic conservatism in the April 19 presidential primary. Kasich’s qualifications are all the clearer — screamingly so — when matched against those of competitors Donald Trump and Ted Cruz.